Dr. Maria Zimmitti is the President and Founder of Georgetown Psychology Associates with offices located in Georgetown, Bethesda and McLean. Dr. Zimmitti is a native of Los Angeles and relocated to Washington, DC, to complete her internship training at Georgetown University Hospital’s Child Development Center. 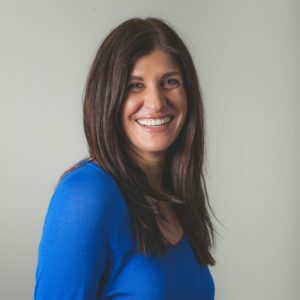 She is a licensed clinical psychologist with 20 years’ experience evaluating and treating children, teens, and adults with ADHD, learning differences, anxiety, OCD, mood disorders, and autism spectrum disorders. Dr. Zimmitti also enjoys mentoring and training doctoral students. She currently serves as a Clinical Professor of Psychology in the Ph.D. Program at George Washington University. 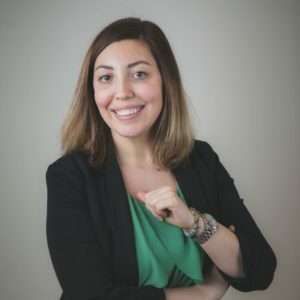 Throughout her career, Dr. Zimmitti has been featured in numerous media outlets, including the Washington Post, CNN, The Huffington Post, and Parenting Magazine to provide her expertise on topics related to parenting and pediatric anxiety. Washington Parent magazine named her one of the area’s Favorite Docs in 2012. In 2018, Bethesda Magazine recognized Georgetown Psychology Associates as Best of Bethesda’s Top Vote Getter in the Child Therapy/Psychologist category. Elizabeth Malcolm, Psy.D. is a licensed clinical psychologist who provides therapy and assessment services for children, adolescents, and adults. She received her Bachelor’s degree in Psychology from Princeton University and earned her Master’s and Doctoral degrees in Clinical Psychology from The George Washington University in Washington, DC. Prior to beginning her graduate training, Dr. Malcolm completed a two-year research fellowship at the National Institutes of Health where she was part of a team researching the impact of maternal depression on infant development. Dr. Malcolm received her pre-doctoral internship training at Hartford Hospital/Institute of Living in Hartford, Connecticut where she gained experience conducting assessments and providing individual, family and group therapy to children and adolescents in inpatient and outpatient settings. Following her internship, Dr. Malcolm returned to the DC area to complete a post-doctoral fellowship at Mt. Washington Pediatric Hospital. In the course of her training, Dr. Malcolm has acquired a range of clinical experiences in therapy and assessment, including work within school, community, hospital, and inpatient settings. 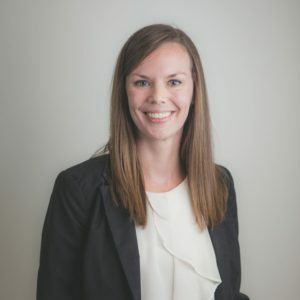 She has extensive experience in assessment and offers evaluations for a variety of presenting concerns, including: learning disorders, attention-deficit/hyperactivity disorder, socio-emotional symptoms, and autism spectrum disorders. In therapy, she works with individuals experiencing a range of issues, including anxiety, depression, disruptive behaviors, gender and sexual identity concerns, interpersonal challenges, and trauma. Dr. Malcolm’s therapeutic approach is integrative, and she emphasizes building a strong therapeutic relationship with clients and families. 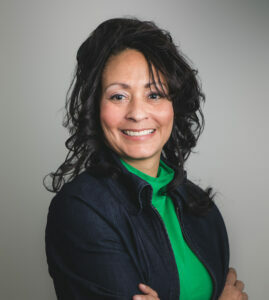 She incorporates psychodynamic, cognitive-behavioral, and family systems techniques to best support the unique needs of each client. Dr. Jillian Egan, Psy.D. is a Clinical Psychologist who grew up in the suburbs of Philadelphia, Pennsylvania and in Princeton, New Jersey. She received her Bachelor of Arts in Psychology from The Catholic University of America (2005). In 2012, she earned her Doctorate in Clinical Psychology from Nova Southeastern University located in Fort Lauderdale, Florida. Dr. Egan received training in neuropsychological, psychological and behavioral assessments at NSU’s Neuropsychology Assessment Clinic and Miami Children’s Hospital Dan Marino Center. She completed her post-doctoral fellowship providing individual therapy and diagnostic assessment for young adults on the autism spectrum at New Directions for Young Adults in Deerfield Beach, Florida. Dr. Egan joined the clinical team at Georgetown Psychology Associates in September 2013 and is happy to be back serving the Washington, DC metro area. She has assisted children, adolescents, young adults and their families in maximizing the potential within thorough diagnosis, treatment, and linkages to care throughout her clinical training. In her current practice, Dr. Egan provides comprehensive evaluations of individuals with developmental disorders, ADHD, learning disabilities, and anxiety disorders. Informed by extensive training in cognitive-behavioral therapy (CBT), Dr. Egan’s therapeutic approach is characterized by the needs of individual clients and their motivation for change; a focus on established goals; and fostering a highly collaborative therapeutic relationship. Her special interests include college aged-adults, anxiety disorders, women’s issues, and stage of life transitions. Dr. Egan is currently a member of the American Psychological Association. She holds licenses to practice clinical psychology in the District of Columbia, the State of Maryland, and the State of Virginia. 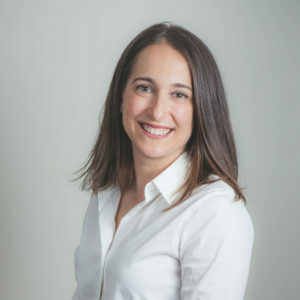 Caroline Spearman, Psy.D., BCN is a licensed psychologist and board certified neurofeedback practitioner who provides therapy and evaluation services for children, adolescents, and adults. She received her Bachelor’s degree in Psychology from Duke University and earned her Master’s and Doctoral degrees in School Psychology from Nova Southeastern University in Fort Lauderdale, FL. Dr. Spearman received her pre-doctoral internship training at Community Services Institute in Springfield, MA where she developed a specialty in trauma-informed care, gaining experience conducting assessments and providing individual and group therapy to children, adolescents, and adults. 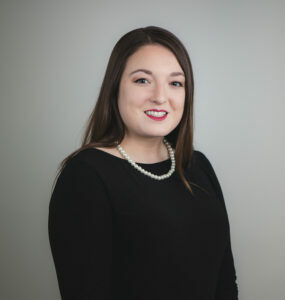 Following her internship, Dr. Spearman completed a post-doctoral fellowship in the neuropsychology department at The COR Group, a group private practice in Bergen County, NJ. Here, she received extensive training in pediatric neuropsychological and psychoeducational evaluations. In the course of her training, Dr. Spearman has acquired a range of clinical experiences in assessment and therapy. 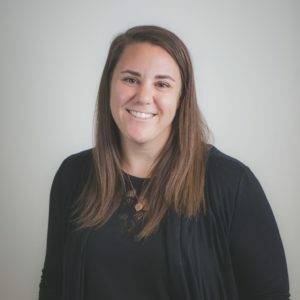 She has extensive experience in assessment and offers evaluations for a variety of presenting concerns, including: learning disorders, attention-deficit/hyperactivity disorder, socio-emotional symptoms, executive functioning challenges, and autism spectrum disorders. Dr. Spearman also has unique therapeutic specialties including EMDR and neurofeedback. EMDR is a powerful form of treatment that enables individuals to heal from the symptoms of emotional distress that result from traumatic experiences. Neurofeedback is a non-invasive, computer-based technique that teaches the brain to function with optimal brain wave patterns. Dr. Spearman is Biofeedback Certification International Alliance (BCIA) certified and has successfully used neurofeedback to help treat clients with an array of challenges including anxiety, sleep difficulties, mood disorders, developmental disabilities, and PTSD. Dr. Spearman utilizes an integrative approach to therapy and especially focuses on creating a warm, collaborative relationship with each client. She works with individuals experiencing a range of issues, including anxiety, depression, disruptive behaviors, trauma, developmental disabilities, and interpersonal challenges. Dr. Spearman tailors treatment to best support the unique needs of each individual client, incorporating cognitive-behavioral, psychodynamic, mindfulness-based, neurofeedback, and family systems techniques. Mollie Dee, Psy.D. is a licensed clinical psychologist who provides therapy and assessment services for children, adolescents, and adults. She received her Bachelor’s, Master’s, and Doctoral degrees in Psychology from The George Washington University in Washington, DC. She is a member of the American Psychological Association, and is licensed in the District of Columbia and in the state of Maryland. Dr. Dee has experience working in academic settings as part of a multidisciplinary team, and has provided consultation and testing services to both schools and families. She has a strong background in assessment, and offers evaluations for a variety of concerns, including: attention deficits, learning disabilities, autism spectrum disorders, emotional symptoms, and behavioral difficulties. In therapy, she works with individuals experiencing with a wide range of issues, including academic problems, anxiety, depression, behavioral concerns, and interpersonal challenges. In the course of her training, Dr. Dee acquired a range of clinical experiences in both therapy and assessment. This included work within private practice, school, in-patient, and community settings. She completed her pre-doctoral internship at The Women’s Center in Vienna, Virginia, and gained post-doctoral experience as a school psychologist at a DC Public Charter High School. 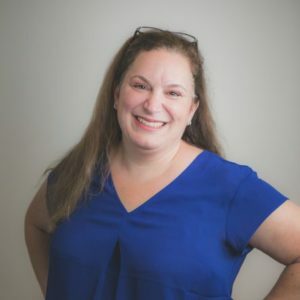 Prior to pursuing her doctoral degree, Dr. Dee spent many years working with children and adolescents diagnosed with autism spectrum disorders and severe developmental delays. She greatly enjoys her continued work with families facing developmental challenges and those with special needs. Dr. Dee feels that effective therapy involves building a strong working rapport and tailoring evidence-based practices to meet her client’s unique needs. She integrates her psychodynamic training with aspects of family-systems and cognitive-behavioral theory into her therapeutic approach. Dr. Dee finds her work to be immensely rewarding, and is delighted to be part of the team at Georgetown Psychology Associates. 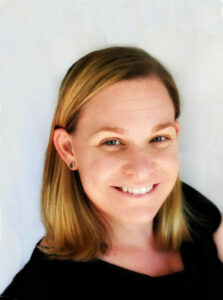 Jill McCulloch, Ph.D., is a licensed clinical psychologist. She provides therapy for children, adolescents, and young adults, as well as parent consultation. social/peer challenges, and adjustment issues. Dr. McCulloch also provides some assessment services. for youth with severe emotional and behavioral problems. In this position, Dr.
psychiatrists, teachers, school administrators, and residential staff. therapeutic relationship with clients and families. Dr. Jessica Pavlick is a licensed psychologist who provides evaluation and therapy services for pre-adolescents, adolescents and adults. She received her Bachelor degrees in Psychology and Journalism from The Pennsylvania State University and her Master’s and Doctoral degrees in Clinical Psychology from The George Washington University. Dr. Pavlick received her pre-doctoral internship training through The Louisiana State University’s School of Medicine in New Orleans, LA where she conducted therapy and psychological testing with adults in inpatient and outpatient settings. She was also a member of the consultation-liaison team on the trauma unit at the University Medical Center in New Orleans. Following her internship, Dr. Pavlick completed a post-doctoral fellowship at Georgetown University’s Counseling and Psychiatric Service where she conducted individual and group therapy with undergraduate and graduate students. In the course of her training, Dr. Pavlick has acquired a range of clinical experiences in therapy and assessment, including work within high school, university, community, hospital, and forensic settings. These diverse experiences have enhanced her ability to effectively diagnose and treat clients. 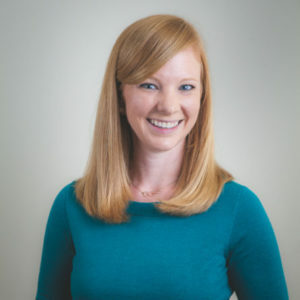 In therapy, she works with individuals experiencing a range of issues, including: mood disorders (unipolar depression and bipolar disorder), anxiety disorders (social phobia, generalized anxiety, and panic attacks), relationship challenges, life transitions (college adjustment, job difficulties), grief, and trauma. She also has experience conducting neuropsychological, psychoeducational, and psychological testing. She conducts evaluations for a variety of presenting concerns, including: ADHD, learning disorders and social/emotional concerns. Dr. Pavlick is integrative in her therapeutic technique as she blends a practical approach to problem solving with a greater understanding of presenting concerns. She believes in the importance of fostering a collaborative therapeutic relationship to facilitate client growth, acceptance and change. She incorporates psychodynamic and cognitive-behavioral techniques to support the unique needs of each client. 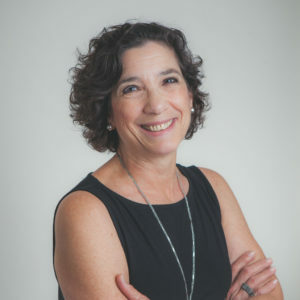 Leslie Klein, Psy.D., is a licensed clinical psychologist who works with children, adolescents, and adults, providing psychotherapy and psychological assessment services. She earned her Bachelor’s Degree in Psychology from Cornell University and her Master’s and Doctoral Degrees in Clinical Psychology from the George Washington University. Dr. Klein has extensive experience conducting psychotherapy and psychological assessments. In psychotherapy, she has had experience working with a diverse set of clients, with a particular interest in working with clients struggling with mood disorders, recent or past traumas, adjustment difficulties, relationship challenges, identity concerns, and/or more severe mental illness. Her approach to psychotherapy centers upon a warm, supportive, and collaborative relationship with her clients and their families, relying heavily on psychodynamic and relational principles, while frequently incorporating techniques from other modalities, including CBT and family systems. She works hard to tailor her approach to meet the needs of each particular client. In addition, Dr. Klein has had extensive experience conducting psychological assessments for a variety of presenting concerns, including: challenges related to attention and executive functioning, learning disabilities, social-emotional symptoms, and comprehensive diagnostic evaluations. Dr. Klein has worked in a variety of clinical settings including schools, community outpatient clinics, residential facilities, forensic settings, and private practices. She completed her Doctoral Internship at the Help Group, a community mental health agency in Sherman Oaks, California, where she provided psychotherapy and assessments in a therapeutic day school, a residential treatment facility, and a school for children with Autism Spectrum Disorder. Dr. Klein then completed a two-year postdoctoral fellowship at the George Washington University Center Clinic where she oversaw a training clinic for doctoral level student clinicians, taught a graduate level course in psychological assessment, and supervised trainees’ psychotherapy and psychological assessment. In addition, she carried her own diverse caseload of child, adolescent, and adult clients within this outpatient setting. Dr. Klein is very passionate about her work, and is thrilled to be part of the team at Georgetown Psychology Associates. Dale Madden Sorcher, LICSW, LCSW-C, is a licensed clinical social worker with over 30 years of experience providing therapeutic services to children, adults and families. She has experience working in school systems, outpatient clinics, day treatment centers and inpatient psychiatric hospitals. Dale is a native Washingtonian and has worked in the DC area for the past 25 years. Dale received a Bachelor’s degree from the University of Michigan. She also has a M.Ed in Expressive Arts Therapy from Lesley College in Cambridge, MA, and a MSW in Social Work from Hunter College in New York. Dale’s experience includes her work at St. Joseph’s School for the Deaf, where she was the creative arts therapist and supervised the National Dance Institute’s in-school program. After obtaining her social work degree, Dale worked as a therapist with both the deaf and hearing communities at the Lexington Mental Health Center in Queens, NY. Since moving back to Washington, she has worked in different modalities, including the Psychiatric Institute of Washington and American Day Treatment Center. For several years, Dale has been at the Adas Israel Synagogue nursery school leading parent-toddler groups that focus on developmental issues and parenting skills. Dale’s therapeutic approach is both psychodynamic and systems based. She works with the child and family in their context, through various modalities including individual play and expressive arts therapy as well as family therapy, creating therapeutic relationships to best meet their needs. Aimee Caramico, Psy.D. is a licensed clinical psychologist who provides therapy services for adolescents and adults. She earned her Bachelor’s degree in Psychology from Loyola University in Maryland and her Master’s and Doctoral degrees in Clinical Psychology from The Chicago School of Professional Psychology. Dr. Caramico has experience working with clients who struggle with a wide range of symptoms. 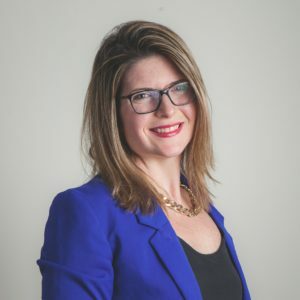 She has a particular interest in working with clients struggling with anxiety and mood disorders, including Obsessive-Compulsive Disorder and Post-traumatic Stress Disorder, as well as interpersonal difficulties. She has received extensive training in Acceptance and Commitment Therapy, as well as other mindfulness and compassion-based approaches. She aims to create a safe and supportive environment that will help clients to increase their psychological flexibility, which includes learning how to live a full and valued life in the moment while coping with difficult thoughts or feelings. Dr. Caramico has experience with Dialectical Behavior Therapy and traditional Cognitive Behavioral Therapy, as well, and regularly uses these modalities to best treat each individual client. Betsy Fenzel, LCSW-C, LCSW, LiCSW, is a licensed clinical social worker who provides individual, group and family therapy to children, adolescents and adults. Betsy grew up in the suburbs of New York City and lived in San Francisco, before settling in the Washington D.C. area. Betsy received her Bachelors Degree from Yale University and her Masters in Social Work from Smith College School for Social Work. Betsy has experience providing treatment in a range of settings, including schools, crisis hotlines, outpatient mental health clinics and residential treatment centers with children, adolescents and adults with a number of presenting concerns, including Anxiety, Depression, Trauma, Grief/Loss, ADHD, Learning Disabilities and Autism. Most recently, she worked at The Katherine Thomas School, a non-public school for children and adolescents with Autism and Language Processing Disorders. She has a special interest in working with children with anxiety, including selective mutism. Betsy is trained in psychodynamic and CBT approaches and integrates both in her treatment to meet the individual needs of her clients. She is also a yoga teacher for children with special needs and incorporates mindfulness in her treatment approaches. She values developing supportive and collaborative relationships with her clients to help them achieve their goals. 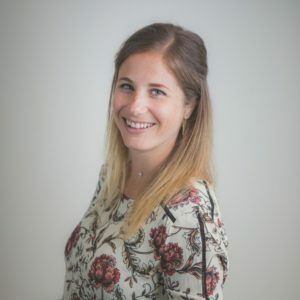 Madison Shaak, B.S., BCN, QEEG-T is a board certified neurofeedback practitioner and Quantitative Electroencephalography Technologist. She provides neurofeedback therapy and QEEG evaluation services to children, teens, and adults. She received her bachelor’s degree in Psychology and Certificate in Deaf Studies from the University of Pittsburgh. Before beginning her training in neurofeedback, Madison worked in a variety of in-patient settings in direct care positions. 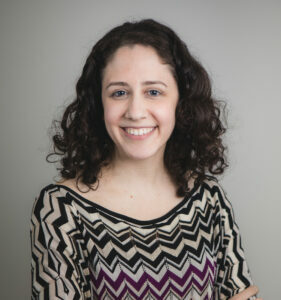 Through her experience at Western Psychiatric Institute and Clinic of UPMC and Caron Treatment Centers, Madison developed her clinical experience with various psychiatric conditions including: anxiety, depression, attention-deficit/hyperactivity disorder, substance abuse disorders, executive functioning challenges, intellectual disabilities, autism spectrum disorders, and post-traumatic stress disorder. Madison strives to create a helpful and positive rapport with each patient regardless of their individual struggles. Madison trained directly with Dr. Joel Lubar to be a neurofeedback specialist. 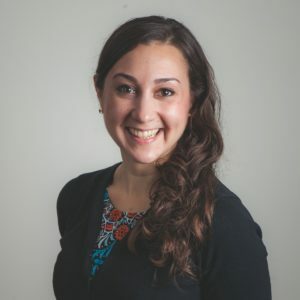 In this unique role, Madison has been able to continue her work with patients of various mental health backgrounds by helping them gain better understanding of their brain function and biology. Neurofeedback is a non-invasive alternative to medication that teaches the brain to function optimally. Madison utilizes Quantitative Electroencephalography (QEEG) to determine the best treatment plan for each individual patient. Madison is Biofeedback Certification International Alliance (BCIA) certified and certified as a technologist through the QEEG Certification Board.